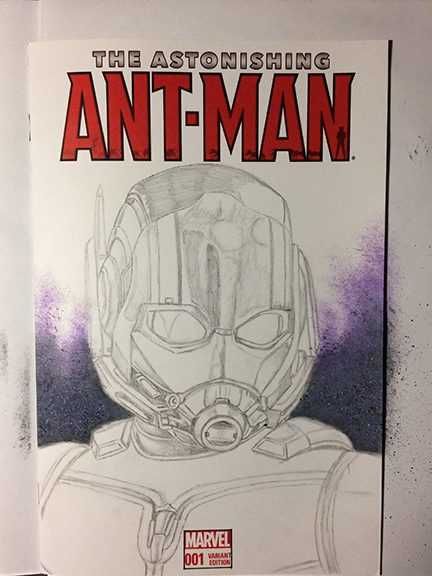 Ant-Man Sketch Cover Painting is underway. Here’s the beginning process. 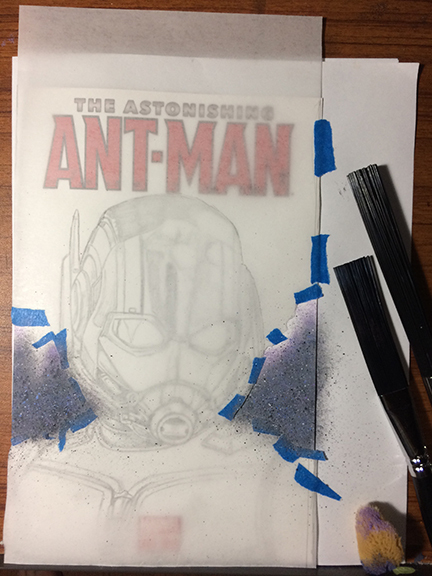 I masked off the Ant-man with tracing paper and painter tape. Next I layered the paint background with sponges, cheap $1 paint brushes and Liquitex Freestyle Splatter Brushes.